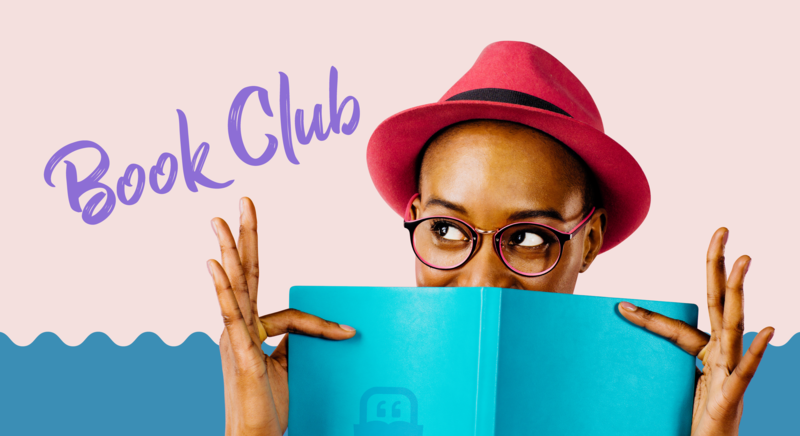 I’m thrilled to use my first-ever Kustomer blog post to announce the launch of Kustomer Book Club. Every other month we’ll be building out a recommended reading list for CX leaders interested in professional and personal development, including staying up-to-date on the latest customer management thought leadership. If your first reaction is to think you’re too busy for a book club, I get it. Working a long day and then reading a business or industry book can feel like just more work. But I also truly believe that opening ourselves up to new ideas and perspectives is one of the best things we can do for our colleagues, customers, and our careers. It’s one thing to have new ideas, but another to stand up for them. 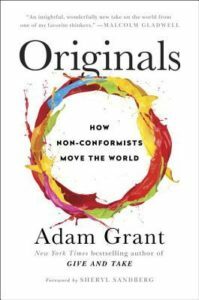 Adam Grant, one of his generation’s most provocative thought leaders, explores how individuals can recognize good ideas and speak up without getting silenced, parents can raise creative children, and leaders can build cultures that fight groupthink and promote innovation. Sounds like valuable skills for listening to customer feedback, changing company cultures, and being a better leader. This is also a book blurbed by both J.J. Abrams and Sheryl Sandberg, so you know it’s good. Or the author is just very well-connected. When’s the last time you championed an idea that you knew was strong even though it was unpopular or complicated to execute? Do your teams know they can come to you with dissent or disagreement? (Hint: just ask them). How can our brands encourage AND act on more customer-generated feedback and ideas? Q. Are we reading only books about CX and customer service? A. No! We believe that the best leaders and the best teams are made of well-rounded, curious people. This is a book club intended for professional development, but that is not limited to trends in customer service or experience. In fact, there’s a lot of research on the benefits of being a T-shaped employee/person, especially within industries undergoing rapid digital transformation. (The “T-shape concept” of valuing a broad, cross-functional mindset is typically attributed to McKinsey). Q. Are you taking recommendations? A. Absolutely. Especially because there seem to be gender, racial, and age gaps in business book authorship. We are striving to highlight diverse voices in Kustomer Book Club, and would love to receive recommendations. If you’ve got a must-read book, pretty please send it to jesse@kustomer.com. Q. When will the next book be announced? A. We’ll announce a new pick every other month here on the blog. To make sure you don’t miss updates, subscribe using the form below. Jesse Feldman is the Content Marketing Manager at Kustomer. Have you noticed our brand refresh? Thank you. We love it too. Our brand is a reflection of our team, our customers and our mission. It’s one of our most precious assets. Customer Friendships are created with Kustomer. We are dedicated to making people and relationships matter in a complex, noisy, hyper-connected world. Customer Friendship? I don’t want to be friends with my customers! Not that kind of friendship. Customer Friendship doesn’t mean your customers should buy you a beer on the weekend. At Kustomer, Customer Friendship means every customer should feel like they are attended, served, cared for by…a friend. It’s what happens when you act in the best interests of your customers. It’s what people-first companies strive to achieve: a deep, meaningful relationship with their customers. Keep reading and see why Customer Friendship is so important. Then, reach out to us and let’s see how the Kustomer platform can help your company achieve this goal. In the experience economy, technology impresses no one. Customers expect to form a deeper relationship – a friendship – with brands. They seek open, trust building communication and personalized attention. White glove is no longer a premium. It’s the standard. People-first brands are winning the competitive game in their industries. What’s their secret? Customer Friendship. Customers are already actively committing to a more intimate and closer relationship with brands by following them on social platforms, obsessing about their products, identifying with their brand values and leaders, and supporting their community causes. Notice what people-first companies call their agents: Neighbors, brand ambassadors, advisors, stylists, consultants. Agents are now expected to deliver personalized value at every interaction to make customers feel as if they are being helped by a friend. However, outdated technologies have been weighing companies down by limiting their view of customers and making it difficult to connect customer data spread across internal and external systems. Using currently available CRM solutions, companies are handcuffed to their vendors ‘best practice’ processes, preventing them from meeting their customers’ and agents’ expectations, and getting in the way of building Customer Friendships. Kustomer is a next-generation customer management platform for the people-first enterprise. It was built on one simple idea: to make the customer the atomic unit of an open platform that’s intelligent, easy to use and accessible to everyone. Our customers improve their agents’ productivity and performance metrics by promoting operational efficiencies, and they stand out and grow in their competitive markets because they offer a people-first service experience that creates long-lasting and profitable Customer Friendships. At Kustomer, we’re putting the customer back at the center of the experience. Agents become friends. Everyone they serve should feel as if they’re being helped by a friend. That time when we shipped the red dress to the wrong address. That time when you were billed twice on the sneakers you bought. That time when you wanted to return the extra device that didn’t fit. That time when you didn’t know how to install the device and we sent you the guide by email. Agents can immediately see conversations the customer had with other agents or through the website chat or mobile app. They can also collaborate and handle a conversation at the same time. There’s no need to look for customer data in another app since Kustomer seamlessly connects to other systems to pull out the relevant data for each interaction. And it’s all presented on one omnichannel thread. Whatever device or communication channel we use, humans remember conversations. We may start a conversation on a brand’s website, and seek to continue it through email. Kustomer enables customers to reach you through their preferred means of communication, and empowers agents to switch from channel to channel without losing the conversation or its context. Brands always know the best way to reach their customers depending on the situation — a text to inform and a call to proactively address a problem. Friends know what you need before you can ask for it. Friendships are surprising, delightful and low maintenance. When you have all the necessary context about the people buying your products or using your services, it becomes the foundation for a long-lasting, more meaningful relationship. You can respond to their wants — and even anticipate their needs. Just like a friend would. Rain in Atlanta? Communicate delays in service. New line of wedding dresses goes on sale? Send an alert to interested brides. Seeing the battery is about to run out of the camera? Send an alert to replace it. Friends know what you like and dislike, sometimes even better than you do. They can tell when you’re upset, and when you’re happy, and will modulate their message to match. Kustomer always checks the pulse of the relationship. Is everyone happy? Satisfied? Disappointed? When you add heart to the conversation it becomes more meaningful and agents can have a conversation that can truly help the customer. Now, let’s see it in action. 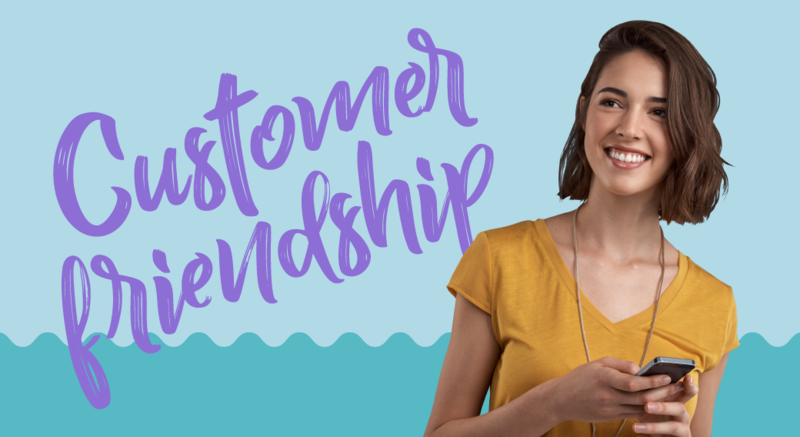 Ask for a demo or check out our website to learn more about how Kustomer help create Customer Friendship magic. It’s been an incredible few months filled with exciting activities and milestones here at Kustomer. We have much to celebrate! It’s hard to imagine we raised our Series B only six months ago, and here we are, celebrating another huge milestone – our $35 Million Series C led by Battery Ventures. I couldn’t be more proud, and like any proud CEO – I want to give you a brief taste of our Krew’s journey this past year, including a sneak peak of what’s to come. 2018 was a terrific year for everyone here at Kustomer. I can report our Krew keeps doing what we do best – building a cutting-edge product, growing a solid team and deepening friendships with our customers. We’ve grown revenue by 500% year-over-year. 500%! That puts us as one of the fastest growing startups against industry benchmarks! The Kustomer platform is second to none. We provide a next-generation alternative to outdated technologies. We’re a solution to an endless queue of tickets that weighs companies down and frustrates their agents and customers. We designed our platform from scratch, focusing on a first-of-its-kind data model and incorporating a single view of customer interactions in our timeline. We are the disruptor brand – focused and fierce. Brands at the top of their game, logos like Glossier, Away, UNTUCKit, Ring and others, are the companies who choose Kustomer. We’re also being noticed by our competition as we quickly take their market share, offering a better alternative to legacy and decades old products. Finally, we’re being noticed by the VCs. Kustomer is fortunate to have top VCs believing in our mission to disrupt the customer management space. Adding Battery Ventures continues to level up the prestige of our investment team. We’re disrupting one of the largest growing SaaS markets in the world. I am especially excited to have Neeraj Agrawal join the Kustomer Board of Directors. 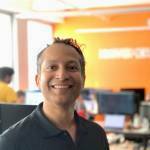 You may already know Neeraj as the originator of the T2D3 (triple, triple, double, double, double) cadence for measuring hyper-growth in startups. He’s a seasoned investor and has been supporting the momentum of great products and companies. Check out the Midas list. He’s been a member of this exclusive group for 8 consecutive years! With the additional capital, we’re investing in growth. 2019 will be epic. There’s so much on the horizon for Kustomer and many opportunities ahead of us this year. If you haven’t noticed our new branding, check out our new website. We’re maturing as a company and I am proud of our brand’s new look and feel. We will continue accelerating our go-to-market strategy and investing in our marketing and sales organizations to reach a wider base of companies, faster. We’re also continuing our international expansion this year. With brands like Glovo and Paddle in the EU using Kustomer every day, we feel this market is ready for us. We’re targeting more up-market companies. The Kustomer platform will continue to add capabilities and innovations as it evolves. Our product roadmap is extensive and includes significant investment in AI and efficiency capabilities. Keep an eye for our product releases and announcements throughout the year. Exciting stuff is coming your way. We’re doing all this for our customers. The most passionate, people-first brands, because like you, our customers always come first. That will never change; no matter what we take on in the future. Without our customers, none of our achievements would be remotely possible. Kustomer is the first company making real Customer Friendships possible. And we’re only getting started. How many platforms does your team use to communicate with customers? Is your team in constant need to merge tickets? Because tickets from different channels are often disconnected, it’s easy to run into a customer who is chatting with another agent while you’re in the middle of replying to their email. Or worse, you might reply without knowing that they’re already being helped. In Kustomer, you can see all the communications with your customer in one place. That means that real omnichannel communication is possible. You can go from emailing with a customer to chatting with them, to calling them on the phone, and see all those records in one conversation. That’s because the customer is the atomic unit of our platform—everything revolves around them. How many tabs does your team need to keep open at the same time? When your customer support platform is disconnected from the rest of your platforms, agents need to keep copying and pasting customers’ email addresses into your admin systems to get even basic information about the history of their interactions with your company—past orders, delivery status, etc. Kustomer pulls data from all your platforms and tools and arranges it in a way that makes sense for your business. With Kustomer’s single timeline view, the customer is the focal point, not individual conversations. Not only does Kustomer merge every interaction into the same conversation automatically, it also integrates with your other systems—like Shopify or JIRA, just to name a few. That means you can see when orders are dispatched and delivered, or previous items that customers have added to their carts or subscribed to on your site. All of this is displayed in that same timeline, so you have a deeper context whenever they reach out. Everything is completely customizable, so it’s easy to create a view that empowers your team to tackle your specific business challenges. With this level of integration, tasks like returns or reimbursements can be completely automated (as we’ll discuss in the next section). No matter if your business is pizza, shoes, or software, Kustomer can be customized to show your agents everything they need to know in a single window. Orders, shipping info, product or version number, buyer and seller information, and social interactions can all appear beside each customer in bespoke “K Objects”. This makes it easy for agents to get the whole picture and take the next best action, or communicate with the right parties while staying on one platform. Kustomer makes it easy to automate commonly-used workflows so that your agents can focus on connecting with customers rather than rote tasks. Don’t be limited by basic workflow functionality that won’t simplify your agents’ day-to-day work. Now you can define intelligent, branched workflows and reports encompassing all customer-related systems in your business. Because Kustomer integrates with your other platforms, it’s way more powerful than just showing your customer history—it allows you to act on it. These branched, multi-step workflows make it easy to efficiently scale your team and automate simple tasks. Sending instant follow-up emails or processing a return is now only a click away and no longer has to take your agents’ attention away from the customer. Proactive service solves for what your customers need. That means it may be something they haven’t even asked for, like a faster delivery to avoid an incoming storm that might cause delays. It’s one of the best ways to build stronger relationships and deliver meaningful experiences. Ticketing systems are inherently reactive, as agents only respond when customers have a problem or a question. Because Kustomer keeps all of your customer information in one place, you can create granular searches for customers around specific behaviors or qualities, all on the same platform. That means your service isn’t just efficient—it’s smart. If you want to build customer loyalty, you can search for customers that may have bought a product that could give them an issue, then send them all a message proactively. Let’s say your new mascara is mislabeled as “Vegan”—you can look up all the customers who have preordered it, then send them an email letting them know the mistake and offering a free refund or exchange if they don’t want it—all before their orders have arrived. Or if there’s going to be a storm that affects customers in a certain geographic area, you can notify all the customers with orders going to that region with a list of options before their shipment is delayed. With all your customers’ information in one place, it’s easier to surprise and delight them than ever. When you combine this robust search capability with automated workflows, intelligent and proactive outreach can become a reality. By putting all the information about your customers in a single view and making it easier than ever to act on it, Kustomer is winning over companies across industries. To try our powerful platform for yourself, schedule your demo today. Read the announcement from Kustomer’s CEO Brad Birnbaum here. Kustomer, the modern CRM platform for customer experience, service, and support, announced today it has raised $26 million in a Series B financing round, bringing its total funding to $38.5 million. Redpoint Ventures led the round with participation from Series A investors Canaan Partners, Boldstart Ventures, and Social Leverage. Cisco Investments also joined as a new strategic investor. Additionally, Tomasz Tunguz, Partner at Redpoint Ventures, will join Kustomer’s Board of Directors to further propel the company’s goal of transforming the customer service industry. As the digital age continues to bring customer behavior changes, the business processes that handle customer data need to adapt accordingly in order to exceed customer expectations. The only way companies and brands can differentiate in the direct-to-consumer age is with a full view of the customer, enabled by a platform approach to CX and service rather than siloed applications and traditional, outdated support ticketing systems. Kustomer’s CRM platform for customer experience enables service organizations to know everything about every customer. Kustomer empowers agents with real-time omnichannel capabilities and delivers personalized, memorable experiences at scale by integrating all business data and automating intelligent workflows, resulting in higher lifetime value. Kustomer will use this round of funding to expand its platform and focus on intelligence, integrations and enterprise capabilities as it continues to take on larger opportunities. Leveraging its rich customer data in the platform, Kustomer will broaden its capabilities starting with engagement. The company anticipates doubling its team within the next twelve months by expanding both domestically and internationally. Kustomer aims to enable all companies to provide memorable experiences by becoming customer-centric. Kustomer is the modern platform for customer experience, service, and support that focuses on customers, not tickets, enabling companies to know everything about every customer to drive informed actions. 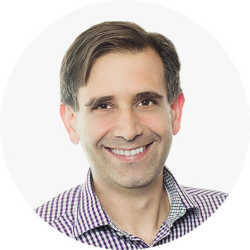 Used by industry leaders such as Ring, Glossier, and Rent the Runway, Kustomer provides businesses with a full view of every customer by unifying all relevant data, interaction history, apps, and systems. Kustomer was founded in 2015 with headquarters in New York City. 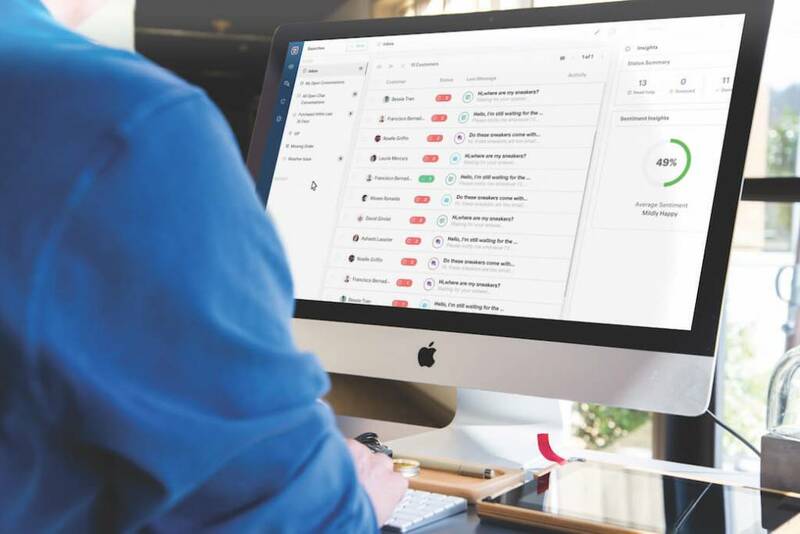 Kustomer has raised a $26M Series B round led by Redpoint Ventures and has added Cisco Investments as a new strategic investor to continue to disrupt the customer experience industry. At Kustomer, we’ve set out to make customer experiences better. We know what it’s like to call customer service, wait on hold, read off our order number, explain the issue, and wait some more—only to be told we should have been speaking with someone else the entire time. It’s bad for customers, and bad for business. That is why we’re working tirelessly to revolutionize customer experience. We built Kustomer to be the modern CRM platform for customer support and experience. It’s always been an alternative to outdated and disconnected ticketing systems. Our clients have access to a full timeline of every customer, giving every agent and customer-facing rep the ability to pull in all the relevant data from their customers and across the business to serve them with speed and efficiency. As companies and brands become more customer-centric, we believe all of them will need to transform their businesses into a modern service and support engine to meet rising expectations. We have made great progress since launching, welcoming clients and fellow industry disruptors such as Ring, Glossier, and Rent the Runway. With this latest round of funding, we’re excited to invest even more in making customer experiences better for our clients, and the world at large. We love our platform, and so do our customers. Now, we want them to love it even more. That’s why we’re investing in improving and expanding our integrations, as well as making our platform even more intelligent and intuitive. By broadening the depth and breadth of our integrations, we will enable every company to provide a full view of every customer, whether they’re small or large, B2B or B2C, and anywhere in between. By integrating with more e-commerce platforms, data sources, workforce management solutions, third-party voice providers, and industry-specific solutions, we will continue to enable customer-centric companies to have every last piece of customer data in their Kustomer timeline. We know that the ways customers reach your business are always evolving, which is why we’ll continue to add new channels to our platform so they’ll always be engaged. Our workflows are incredibly powerful, and many of our clients are already using them to do some amazing things. That’s why we’re going to make them simpler and easier to use—so that everyone has the power to deliver incredible automated experiences, no complex technical knowledge required. We will also continue to make our platform even more intelligent. By continuing our investment in Machine Learning, Sentiment Analysis, Natural Language Processing, and other new advancements, we will continue to ensure that our clients can understand their customers even better so that they can deliver experiences that are truly cutting-edge. Large contact centers shouldn’t deliver experiences that feel like they’re from huge, disconnected enterprises—they should be as personal and meaningful as the most hands-on boutique. That’s why we’re going to offer Enterprise-level routing and queuing, ensuring that clients of all sizes can deliver experiences that feel immediate and valuable. Keeping customer information safe is crucial—which is why internal security is our top concern and a core part of our ethos from when we were founded. We’re building out advanced new security features throughout our platform accordingly. We’ll never take a chance with your customer’s safety, and will keep working to find new ways to make them safer. The best part? All of these advancements will give our clients of all sizes access to Enterprise-level functionality. No matter how many customers you have, we’re going to make sure you’re giving them an unparalleled experience. Not to brag, but we know the customer service and experience space inside and out. 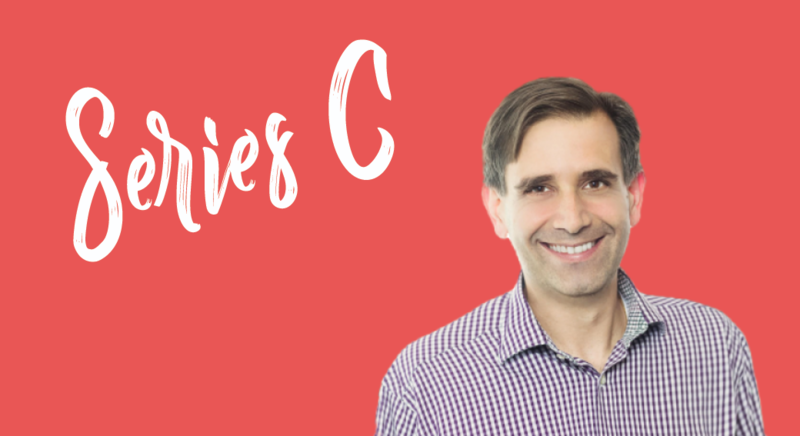 Jeremy and I have over 20 years of experience in the industry, and we always planned to create an amazing platform for service and support. However, our ambitions don’t stop there. We built the Kustomer platform to be versatile, and already our customers have been using it for more than just service—they’ve been using it for engagement, marketing, and more. Now we’re going to be investing heavily in this functionality. 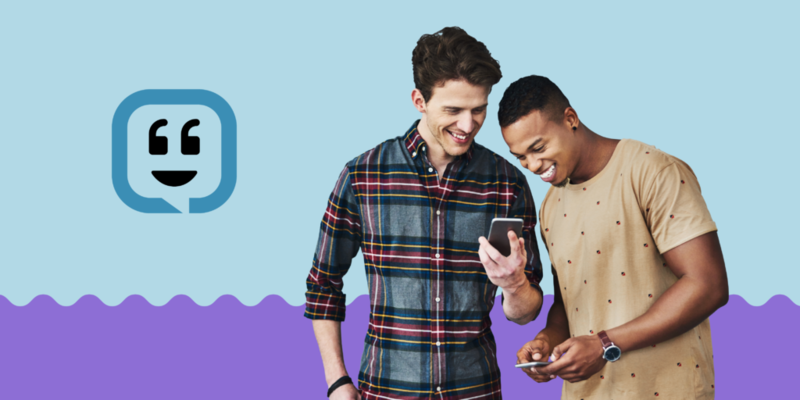 We always knew our platform could do so much more for you and your customers, which is why we’re making it more powerful than ever. We recognize the power behind the rich customer datasets that are stored within Kustomer. Rest assured, we intend to help you leverage them to the fullest so that more teams within your organization can deliver experiences that will wow your customers. In order to maintain the incredibly high level of customer focus we demand from ourselves, we will be tripling our Customer Experience team in the next 6 months to make sure we are always there for you; whatever you need. Also, to continue working towards our vision of the richest customer-centric platform available we will be more than doubling our engineering and product teams in the next 12 months to continue to be the most innovative product in the market. We will also continue to expand beyond our New York City headquarters by placing customer-centric roles across the US and eventually Europe. Kustomer customers, we see you, and we want to thank you for all of your support up to now. It’s been an incredible journey, not without a few bumps, and we have so much further to go. So thanks—we’ve got a lot to show you, and we hope you’re as excited for what’s to come as we are. 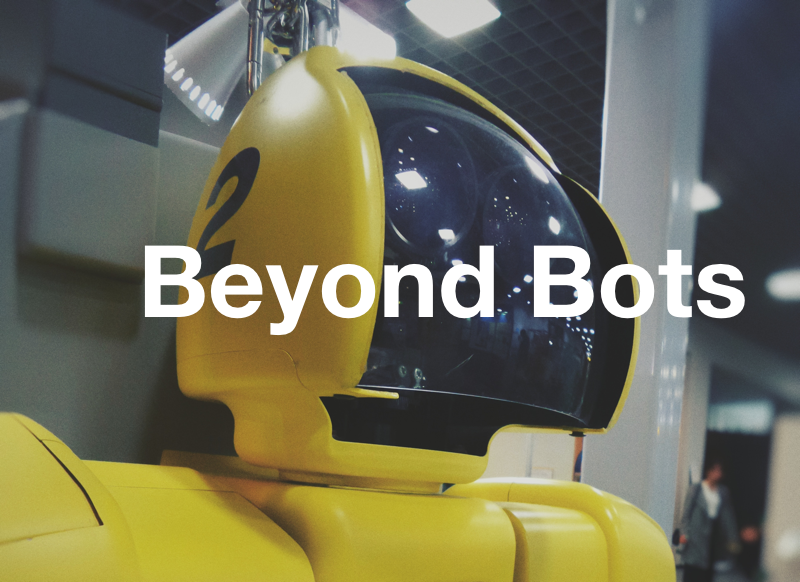 There are a lot of buzzwords gaining traction as we settle into 2018, but probably none are bigger than “Bot”. Particularly in the customer support arena, as companies look to further reduce the cost of serving customers. This has resulted in the rise of chatbots. However, no matter how good the technology, bots aren’t going to be able to resolve every situation or interaction anytime soon. That means that transferring from bot to agent will remain a crucial part of the chatbot experience. What do agents and customers expect when the time comes for them to be connected? Chatbots are undoubtedly improving and becoming better at seeming human while collecting crucial customer information—their name, address, and description of the problem—and based on that they may be able to produce some initial solutions. Put Agents in the Driver’s Seat: Empower agents to select the right channel to engage with the customer and best resolve the issue. Deliver Complete Context: The agent of the future will be a critical thinker. If you provide them with all the information they need about the customer story so they are well-informed of their profile and history, agents can craft some of their own dialogue based off of talking points from reference scripts. While this creates a more natural customer interaction, it also means that agents must be able to think on their feet and deal with possibly tense situations. Adapting to every situation and keeping calm and focused under fire is thus crucial for great customer service. Give Agents a Heads-Up: Automate agent alerts based on changes to the customer’s status, order updates, or snoozes so they’re always aware and ready to connect. Enable Empathy: It’s always great for agents to show empathy, but empathy is hard for any human being to deliver if they don’t understand the gravity of the situation. Brands can use tools like NLP (Natural Language Processing) to provide some insight into how the customer is feeling at the time of engagement, and know whether their outlook is positive, negative, or neutral. Streamline Connectivity: Efficiency is still critical at the point of contact, but not at the detriment of communication skills. Create personalized shortcuts that don’t just display simplistic customer information like name and email, but provide details of their relationship such as recent items they’ve viewed, their current sentiment, their order’s delivery status, etc. For brands to be successful in the future, the hand-off between bot and human needs to promote a differentiated experience. If your customers have to start the process all over again when they switch to an agent, then they’re better off just connecting with one in the first place. However, if your customer can go from speaking with a bot to an informed and empowered agent, that’s a game-changer. If your agents are equipped with all the context and transaction information they need, then they’re well-placed to deliver a meaningful experience. Combining chatbots, automation, sentiment analysis, and a full view of the customer is what it takes to turn your agents into heroes and deliver next-level service. Instead of going from a bot to a human who’s asking mundane questions, doesn’t know anything about the customer, and is powerless to make a decision, they can be connected to a CX superhero.